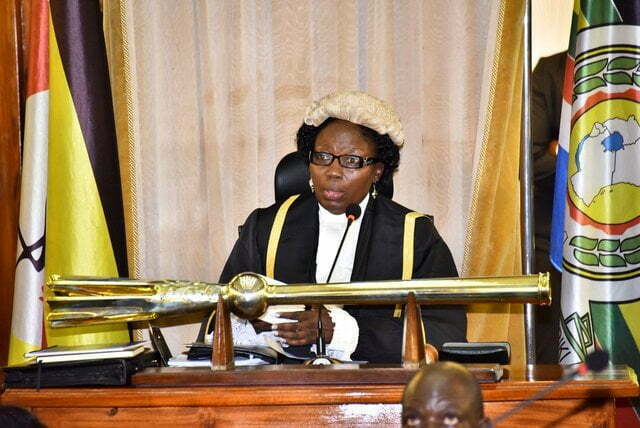 Parliament of Uganda has this afternoon approved a motion for the continuity of the controversial ‘age limit’ bill, which seeks to lift the cap on the Presidential age from the constitution. A total of 317 MPs voted in favour of the motion to lift the upper age limit of 75 years while 97 members voted against. Two members abstained from the vote. Voting was by roll call and tally, in line with rule 89 of the Parliament’s Rules of Procedure. The rule stipulates that voting at the second and third readings of the Bill for an Act of Parliament to amend a provision of the Constitution has to be by roll call and tally. The National Resistance Movement (NRM) party which commands a numerical advantage in the 10th parliament needed 290 votes, constituting two-thirds of the 436 legislators entitled to vote, for the bill to sail through to the next stage. Parliament has now constituted a committee of the whole House to review the clauses in the bill, and vote on them, one by one. After this stage, the bill will be read for the third time and passed.